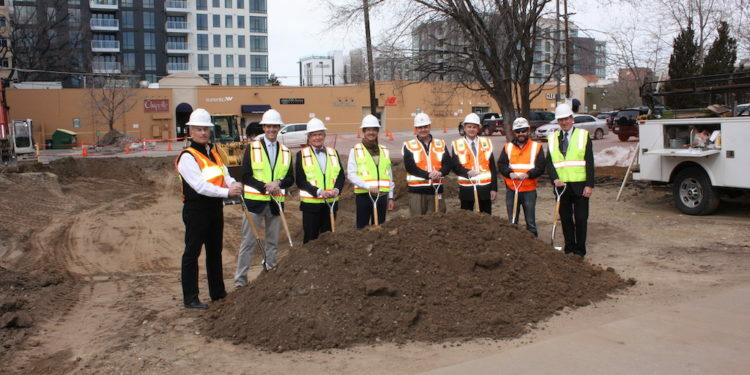 DENVER — GH Phipps and Architect Saiber Saiber recently joined with their client, Pando Holdings, to celebrate the groundbreaking of 135 Adams, a new five-story micro-apartment building now under construction at 135 Adams Street. The development will include 37 units that start at approximately 300 square feet to 800 square feet in size. Rendering of 135 Adams, courtesy of Saiber Saiber. Located in the heart of Cherry Creek North, the apartments are intended to meet a growing demand among young professionals seeking smaller, more attainably-priced residences. The neighborhood is one of the highest-rated walkable districts in metro Denver, with great restaurants and retail options. Saiber Saiber is the design architect and has previously done design work in Cherry Creek North. 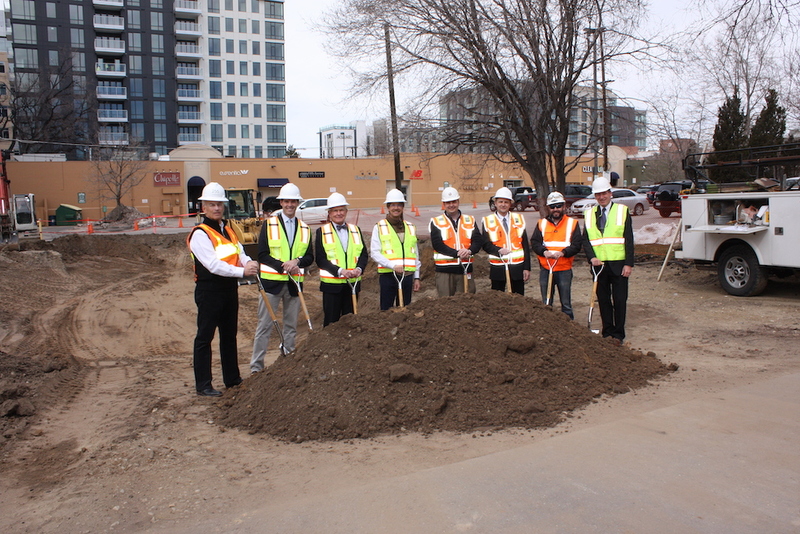 “We’re excited to continue working with Saiber Saiber to bring this innovative apartment building to the Cherry Creek neighborhood,” said Matt Paull, project manager. 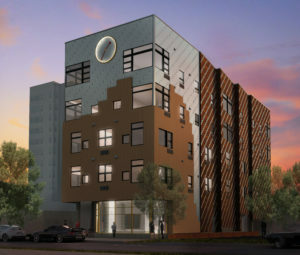 “Both of our companies have a great deal of experience working on projects in urban neighborhoods, and we’re looking forward to delivering a successful micro-apartment building to Pando Holdings. 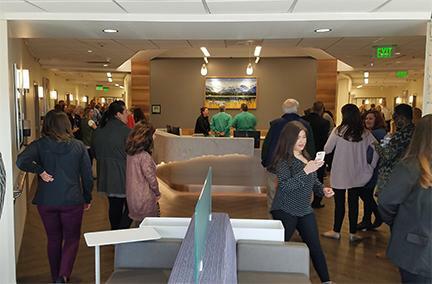 Rather than maximize potential retail income, and recognizing that a 250 square foot home might benefit from some ancillary space, the ground floor will be developed as a common work and relaxation area with the objective of building community. The apartment building is expected to be completed in April 2020.